Dressed for success… finally. 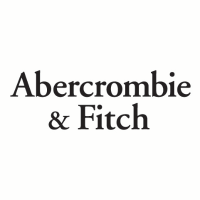 This week saw a $25 million settlement get one step closer to the finish line, potentially ending two employment class action lawsuits pending against clothing retailer Abercrombie & Fitch Co. The lawsuits were brought by nearly a quarter of a million hourly workers in California, Florida, New York and Massachusetts who alleged they were forced to buy the clothes they were being paid to sell. According to court documents, the workers alleged that Abercrombie coerces its employees into buying the brand’s clothes to wear at work and that the employees are not reimbursed by the company for the cost of those clothes, which reduces their minimum-wage earnings. The plaintiffs stated that they could prove they were forced to buy clothing with testimony about companywide phone calls and other practices that Abercrombie used. According to the plaintiffs, Abercrombie required its employees to purchase items from its “AAA Style Guide” booklet containing pictures of specific articles of clothing from Abercrombie’s current season. This, the complaints state, essentially constitutes a uniform. Ah, you think? Under the terms of the settlement, $16.7 million will be provided to settle claims from the class and collective members, with the remainder of the funds going to associated costs and fees. The class includes roughly 176,000 proposed class members and 82,000 collective members under the Fair Labor Standards Act. It covers all non-exempt Abercrombie employees in New York, Florida, Massachusetts and California during a set of class periods that vary by state but begin in 2009 and cease when the proposed settlement wins preliminary approval, according to the settlement documentation. The cases are Alma Bojorquez et al. v. Abercrombie & Fitch Co. et al., case number 2:16-cv-00551, and Alexander Brown et al. v. Abercrombie & Fitch Co. et al., case number 2:17-cv-01093, both in the U.S. District Court for the Southern District of Ohio. The US Food and Drug Administration issued an update this week for Ocaliva – a Boxed Warning has been added to the product under the agency’s guidance. The boxed warning is in addition to the information issued through a MedWatch safety alert for liver disease medicine Ocaliva (obeticholic acid)—Increased Risk of Serious Liver Injury, issued 09-21-2017. The original warning stated that Ocaliva is being incorrectly dosed in some patients with moderate to severe decreases in liver function, resulting in an increased risk of serious liver injury and death. Ocaliva is used to treat a rare, chronic liver disease known as primary biliary cholangitis (PBC). PBC causes the bile ducts in the liver to become inflamed, damaged and destroyed. This causes bile, a fluid that helps in digestion, to build up in the liver. This build-up damages the liver over time, eventually causing it to lose its ability to function. Ocaliva has been shown to improve a certain blood test that measures liver problems. To ensure correct dosing and reduce the risk of liver problems, FDA is clarifying the current recommendations for screening, dosing, monitoring, and managing PBC patients with moderate to severe liver disease taking Ocaliva. The FDA is also requiring a Medication Guide for patients to inform them about this issue. As a condition of approval, FDA required the manufacturer of Ocaliva, Intercept Pharmaceuticals, to continue studying the medicine in patients with advanced PBC. These clinical trials are currently ongoing and FDA expects to receive results in 2023. The FDA will continue to monitor this medicine and will update the public if new information becomes available.